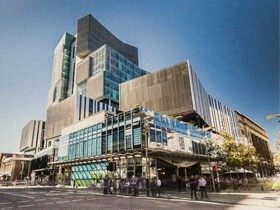 140 is located on the corner of William and Murray Street Mall, Perth. The Perth Underground Train Station is located below 140, with access to Murray Street Mall and Globe Lane. Visit Transperth. The closest carpark to 140 is Parkwise at Raine Square which can be accessed via Wellington Street.